A Chelsea fan threw his season ticket on to the pitch in frustration after Antonio Rudiger came to apologise for suffering 6-0 defeat to Manchester City. The Blues’ poor performance made supporters frustrated and intensified the uncertainty regarding the future of manager Maurizio Sarri. 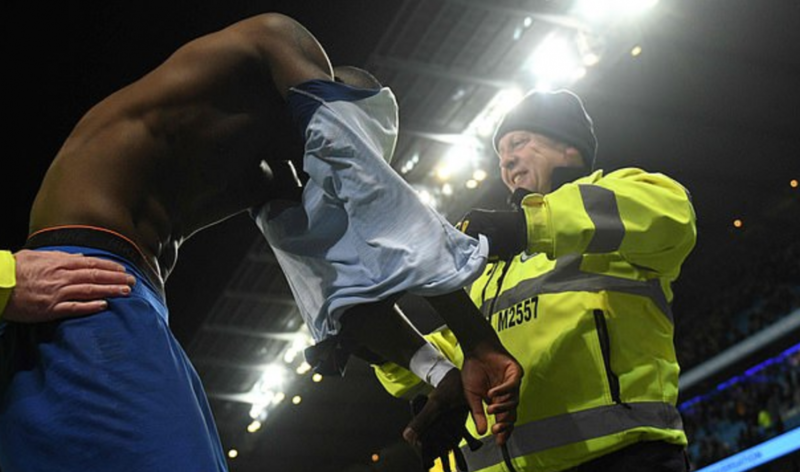 After the game defender Rudiger went over to the club’s supporters to give his shirt to a fan and apologise for the display. At that moment one Chelsea fan threw his season ticket on to the pitch. Chelsea in sixth place in the Premier League having lost three of their last four top flight fixtures, Sarri’s future has been called into question.